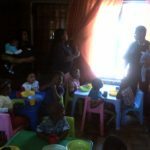 The Cape Town Market has offered a donation to the iKhwezi Educare in the form of tables, chairs, cups and plates to support this small Khayelitsha based creche that cares for children in the area. 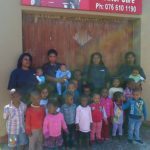 iKwezi Educare provides facilities for children from disadvantages backgrounds. 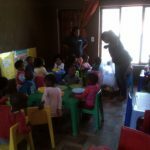 The educare is open from 6:00am to 6:00pm, caters for children aged 1 to 6 years old and whilst ensuring commitment to home languages offers tuition in english to provided the children with a multilingual background. 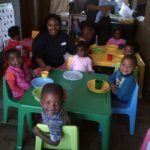 Children receive 1 cooked meal per day as well as 3 snacks during the day. 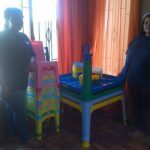 They also offer transportation for the children to and from the creche. 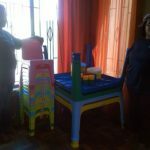 In addition to all of this the creche undertakes monthly tours which are designed to be fun and educational. 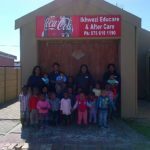 The Cape Town Market is proud to support the iKhwezi Educare. Very often large businesses such as the Cape Town Market, have an underlying and often behind the scenes team of brave individuals who keep our place of work safe and trouble free. At the Cape Town Market we have a large security contingent who are not just here to manage the obvious security problems which hound a large facility, but also take on many other complex issues. Our team of fearless patrol men and women together with the control room staff are spearheaded by security manager Phillip Kaplan, and his deputy Luqmaan Isaacs and assisted by compliance manager Kashief James. 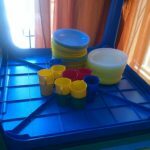 This department has not taken on a simple security mandate, there are health and safety requirements that they monitor and manage on a daily basis. Their daily tasks includes fire control, traffic issues, crime and even helping to organise and monitor special events such as the VOC festival which draws over 65000 people every year. The team also deals with first aid and basic cleanliness, which all play an important part of daily duties. Response time has to be quick and requires quick thinking hence why our security contingent continues to engage in new training and refresher courses. Patrol personnel and control room staff are eagle-eyed and need to be ready when the situation arises. 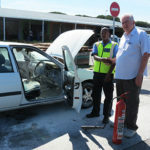 Smoking, speeding and crime have been curtailed dramatically at the Cape Town Market since the patrol staff have stepped up their vigilance and now have the authority to issue warnings to offenders. 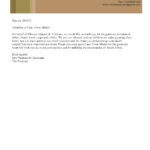 Recently two events called for speedy action, if it were not for the fast and efficient action from the security personel, these situations could have resulted in serious damage. 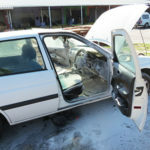 Zolani Mdletye, a guard at the Main entrance gate was alerted by shouts and clouds of smoke rising from a Ford Sprinter at the Peoples Market and without hesitation ran to assist with the correct fire extinguisher putting out the flames. Once the Fire Department had arrived the flames had been doused and no one had been injured with no other property affected. 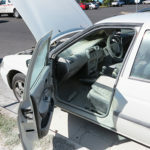 Unfortunately, the buyers vehicle did not fare too well. 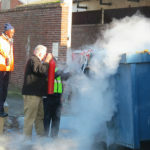 Another incident was curtailed timeously again with sharp eyes concentrating in the control room ……..controller Hinkman spotted a fire that had started in a waste container which was then contained before becoming a threat. 24 hours, 7 days a week we have cameras, guards and the Pinelands police on call on….The Cape Town Market, a SAFER more SECURE and CLEANER environment moving forward in 2013.